Child care centres are great places – a little bit like organised chaos. It’s a rough-and-tumble world where young children learn a lot of the basics in life: how to interact with other children; how NOT to interact with other children; how to paint, draw, climb, run, swing, jump, and play. When kids play together, you want to minimise any risk of them getting hurt. And a great place to start is with Turf Green’s artificial grass for child care centres. Child care (or day care as it’s often called) usually has playground facilities that a lot of kids share. If there is natural grass or turf, this can get worn down very quickly, leaving the play areas looking a bit sad and dirty. And let’s face it, there are enough messy things that go on at day care, like painting and food—you don’t want to add dirt and mud to the list. Especially when child care centres don’t just have kids to think about, but also the parents of those kids. 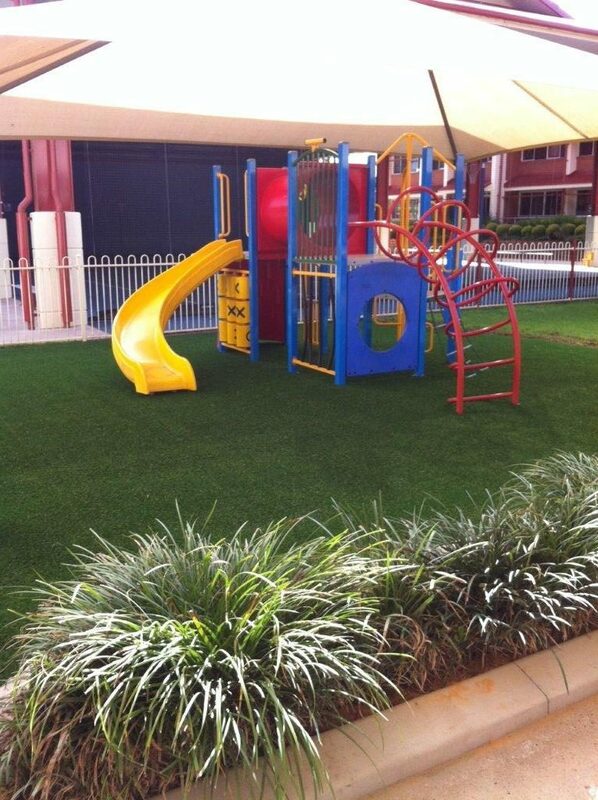 By using artificial grass, day care centres can ensure that kids don’t go home covered in dirt. As any child care staffer will know, if an incident occurs at day care—a graze, cut, bruise, accident, or injury—then it has to be written up in an report and shown to a parent or guardian to sign. Artificial grass from Turf Green will help reduce injuries in the playground and the need for incident reports. That’s because we use ‘soft fall’ technology on all our grasses. So when a child falls, they land on the safest and softest possible surface—even better than real grass. 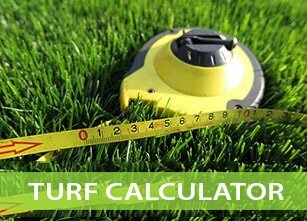 Our Turf Green artificial grasses are great for children. One of the great benefits is that kids with allergies to grass are much less likely to have a reaction. And with no risk of the playground turning to dirt or mud, artificial grass means that kids’ play areas are more hygienic. Also, with synthetic grasses, there is no need for chemicals like fertiliser to help grass grow, or pesticides to kill weeds and noxious plants. Artificial grass isn’t just a healthy and safe surface for kids to play on, it also means reduced cots for child care centre owners. There is no need for mowing services or to replace areas of natural grass that have been worn down. And of course, all this adds up to happier parents, which means fewer complaints for you. 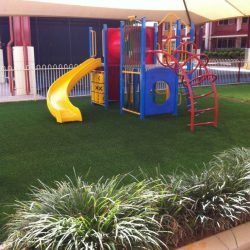 Our range of artificial grass is 100% safe for kids and is used in child care centres across Brisbane, Logan and the Redlands. We know what it’s like to have kids, and we have designed our products with them in mind. 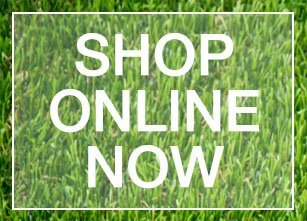 All our grass products are made to the highest safety standards and designed to last. If you’d like to find out more about our range of Turf Green artificial grasses for child care centres, you can read our artificial grass page visit our FAQ section. Here is a picture from a large child care centre project we completed at Wynnum.